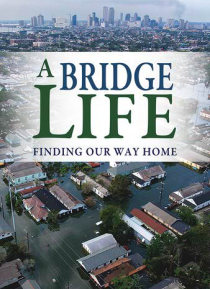 This inspiring documentary follows a Good Samaritan who rescued seven evacuees from the Houston Astrodome after Hurricane Katrina and brought them to Florida, changing their lives and giving them the opportunity for shelter and jobs. He gets more than he bargained for when one of them commits a serious crime. A story of ordinary people doing extraordinary things, A Bridge Life underscores the impo… rtance of hope and the resiliency of the human spirit.